The Swimming Pool in Photography invites readers to dive into the cultural history of swimming pools. As long as 5,000 years ago, the allure of the sea inspired humans to recreate its essence in miniature artistic forms, such as public baths where ancient rituals would take place. Since then, swimming pools have become status symbols and a source for a gamut of purposes from athletics to the simple pleasure of just being in water. It is no wonder, then, that filmmakers and photographers constantly return to the swimming pool as a subject and setting. Reflections of water and light are captured in countless unique ways in the more than 200 compelling images of pools and swimmers that comprise this catalog. 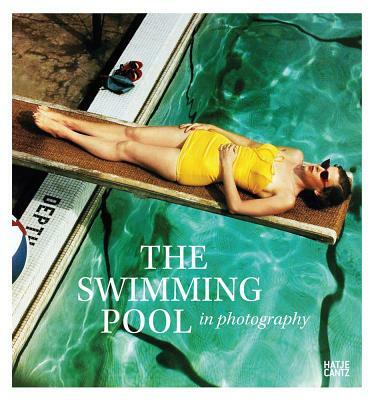 The Swimming Pool in Photography includes works by Henri Cartier-Bresson, Gigi Cifali, Stuart Franklin, Harry Gruyaert, Emma Hartvig, Jacques Henri Lartigue, Joel Meyerowitz, Martin Parr, Paolo Pelligrin, Mack Sennett, Alec Soth, Larry Sultan, Alex Webb and many others.